The White House counsel is normally the final authority over whether the law has been broken, so Bauer’s letter settles that: nothing illegal. Politically it’s another story. The Administration ineptly broke the first rule of staying out of legal and political trouble: It’s not the act, it’s the cover-up. 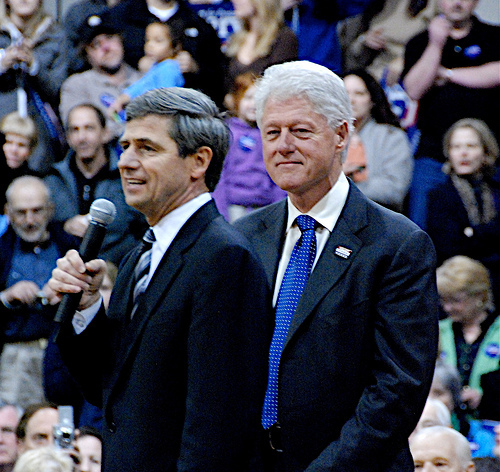 Ethically it’s clear enough: The Administration had promised to support turncoat-squared Specter in the primary, and that reasonably involved trying to persuade Sestak to stay out. We don’t know what Clinton said, but Bauer’s memo describes a general conversation, not an offer, and such conversations are an absolutely necessary part of building political alliances and therefore of representative democracy. This entry was posted on May 28, 2010 at 10:26 am and is filed under Ethics-general, Politics. You can follow any responses to this entry through the RSS 2.0 feed. You can leave a response, or trackback from your own site. Assuming one believes Clinton and Bauer. Then SESTAK becomes the liar. I dunno…. Bauer doesn’t lie, ex officio, and Clinton would NEVER lie. Wow yet another scandal. Clearly this has the markings of one big cover up. Sestak should have just taken the Secretary of the Navy position and kept his mouth shut. Now he is going to embroil Obama, Rahm, and Bill Clinton. Doesn’t Bill Clinton have nicer things to do that get involved in this Nixonian type of mess? What would Blago do?